Forgot your Windows 10 password on Huawei MateBook X Pro? If you find yourself in a situation in which you can’t remember your MateBook password, then you’re in the right place. In this tutorial we’ll show you how to reset forgotten MateBook laptop password with a bootable USB. 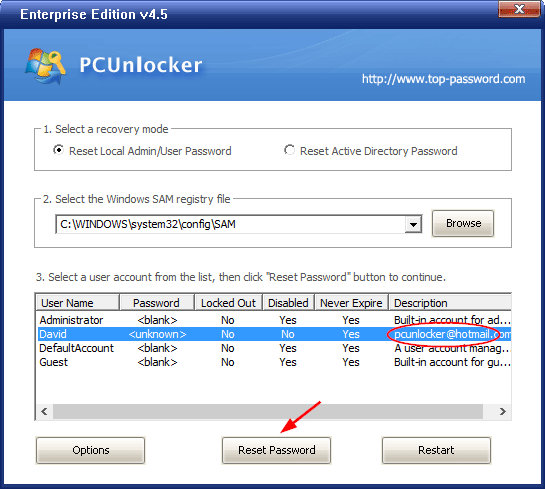 Since UEFI is required for booting MateBook to a USB, we’ll choose the Windows password recovery utility – PCUnlocker Enterprise. After you’ve got a copy of PCUnlocker ISO image, download a third-party utility Rufus – which allows you to transfer an ISO image to USB and make the USB drive bootable. Prepare a USB flash drive that’s at least 1 GB and plug it into your PC. Open up Rufus and click the Select button to locate the downloaded ISO file. Make sure the Partition scheme is set to GPT. Finally click on Start. 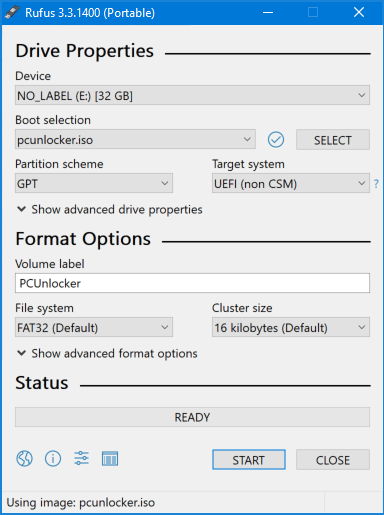 Once you have created a bootable USB with PCUnlocker, you have to boot it. When you turn on your MateBook laptop, press the F2 key to access the UEFI menu. If you don’t have a keyboard, hold down the volume-up button while powering on the MateBook, this will also take you to UEFI. In the UEFI screen, select the “Boot Order” and hit Enter to choose “USB -> SSD“. Save your changes and exit. Now your laptop will boot from USB. After loading a very light copy of Windows Recovery Environment (WinRE), you’ll get to the PCUnlocker utility. Just select one of the user accounts found on your MateBook laptop, and click on Reset Password. The program will get rid of your forgotten password in seconds. Reboot and you can access your MateBook laptop without entering a password. 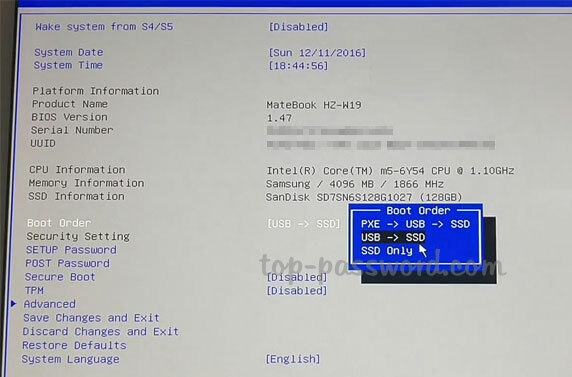 So this is how you can boot MateBook laptop with USB and reset your forgotten password conveniently and securely. However, if you don’t mind losing all files on your system, factory reset is a good alternative way to erase your lost Windows password. Just hold down the F10 key when powering on your computer to access the system recovery screen. From there, you can start the factory reset process.